MULTIPLE OFFERS. HIGHEST AND BEST CALLED FOR BY 6pm Saturday 2/9. 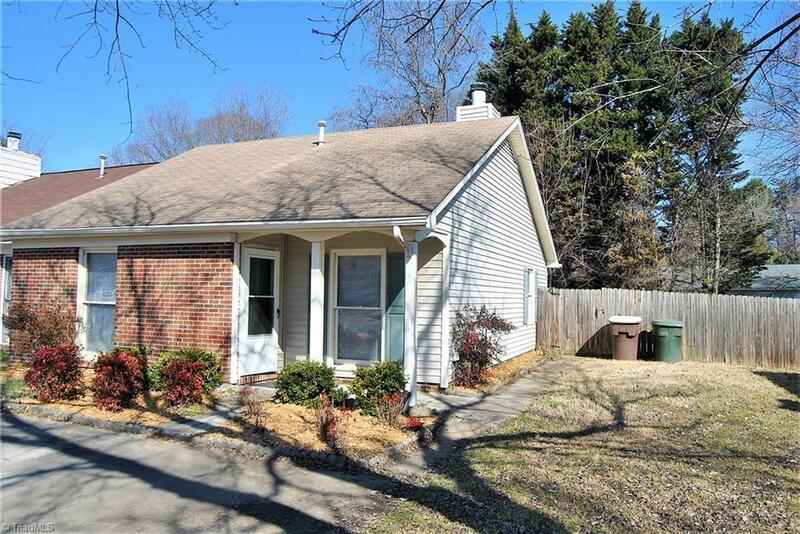 Looking for an affordable unit, with updates and a fenced back yard? Here it is! No HOA! Fresh paint, new carpet, updated bathroom, washer and dryer remain, fridge remains... ready to move in. Large, fenced back yard with an oversized patio and outdoor storage. Don't miss this one! Listing information © 2019 Triad MLS, Inc. All rights reserved. Listing provided courtesy of 336 Realty. Information deemed reliable but not guaranteed.